Our two custom home projects in the Three Springs area are coming along quite nicely! If you’re interested in any of our upcoming homes for sale, please contact us or stop by and see us today! Making the most out of a tiny kitchen starts by searching the room for space on the walls, floors, ceiling, countertops, appliances, even the insides and outsides of cabinetry. When you can start seeing the storage potential in everything, you can squeeze every square inch out of it. Let us share our best tips for making the most of your small kitchen! Using your cabinets, ceiling and walls, hang up everything you can! Anything that you can hang up saves valuable counter space. While a lot of people think to use the outside of their cabinets to hang items, few think of using the space inside the cabinet doors. Think of the drawer space you’ll save by using the inside of the cabinet door to hang up your measuring spoons and cups. Mount a magnetic strip to the inside to hold all of your cutting knives. Attach a few single wire spice racks to the inside of your doors and save the rest of your cupboard space for your groceries, dishes, and appliances. By installing shelves, rods or pegboard, you can move utensils off the counter and onto the walls. You could probably rescue entire cupboards by hanging up anything and everything that has a handle attached. If your cabinets stop short of the ceiling you’re missing out on valuable storage space so consider adding another foot or two of storage by replacing them with cabinets that go all the way to the ceiling. That much-needed space will hold those rarely used items perfectly. If you can’t add to or replace your cabinetry then simply set baskets on top of your cabinets for that additional storage space. Making sure your cabinets go all the way to the ceiling will help you capitalize on more space. You can also add in glass fronts to make your kitchen seem more light and airy! Gaining another foot or even more counter space is a big victory and can be accomplished with a minor remodel to replace your counter and sink by substituting your dual bowl sink with a beautiful (and compact!) farmhouse sink. Another trick is to find a simple cutting board wide enough to cover your sink when you’re doing your prep work. Add the illusion of more space by using mirrors to replace, or make, your backsplash. Mirrored backsplashes are interesting, they reflect light, extend the view, really open a space and they’re super easy to clean. Bulky hardware on drawers and cupboards in a tight space is a recipe for bruises, the occasional profanity and wrestling your shirt from a handle’s grip. To keep your kitchen and children’s innocence safe, choose slim pulls or replace cabinet doors and drawer fronts with inset grips and avoid the hardware completely. It may seem inconsequential, but the streamlined look of your space will make a difference. If you need a shoe-horn and grease to fit appliances into place, think about replacing them with small-scale versions. Many appliance manufacturers are now offering a variety of compact models designed specifically for small spaces freeing up precious space for other uses. Adding pops of color help make a tiny kitchen seem bigger. You can also make your tiny kitchen look bigger with glass. By replacing your solid cabinet doors with glass, you create depth and dimension and the contents provide color, interest, and variety. This will make your small kitchen seem bigger than it really is. 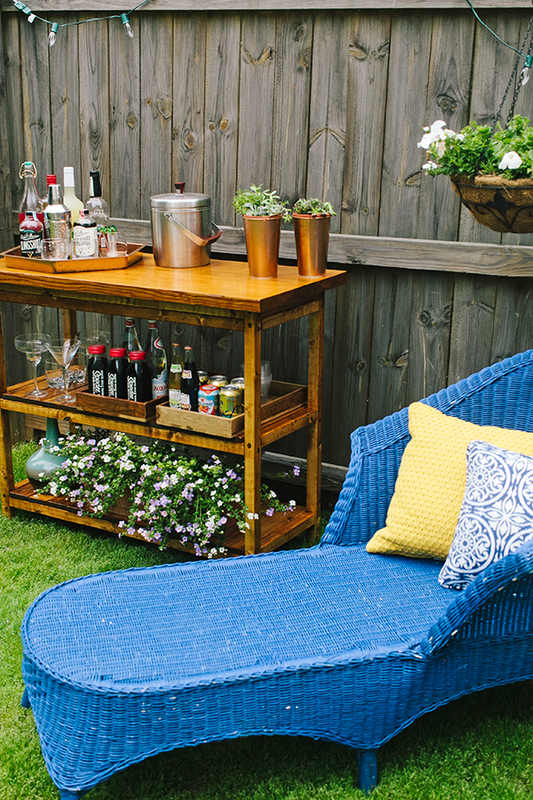 Go for a portable rolling cart that can do double duty as a prep area, add extra storage space and even a duty as a buffet area. Simply put it away when not in use and because it’s portable you’ll be saving on the precious square footage. When it comes to storage and space-saving needs, there are a number of stores now who specialize in smart, efficient storage solutions that make the most of any space in the house. Kitchen cabinet manufacturers are now offering space-saving filler cabinets, as narrow as three inches, to help store baking pans, utensils, and smaller items. Your kitchen cabinets may be another way to free up space by replacing them with open shelving. By comparison, upper cabinets are far bulkier and, more often than not, you have to rummage through them to get to the contents in the back. Once again, the hallmark to creating space is an illusion – your eye isn’t stopping at a solid door. It’s a streamlined look and everything is easily visible and accessible.It’s easier than you think to give that vertically, horizontally and dimensionally-challenged kitchen of yours the impact of more space with these simple fixes and make your time there much more enjoyable. Is your open floor plan lacking…something? Are you wanting to ramp up the coziness during the cold winter months? 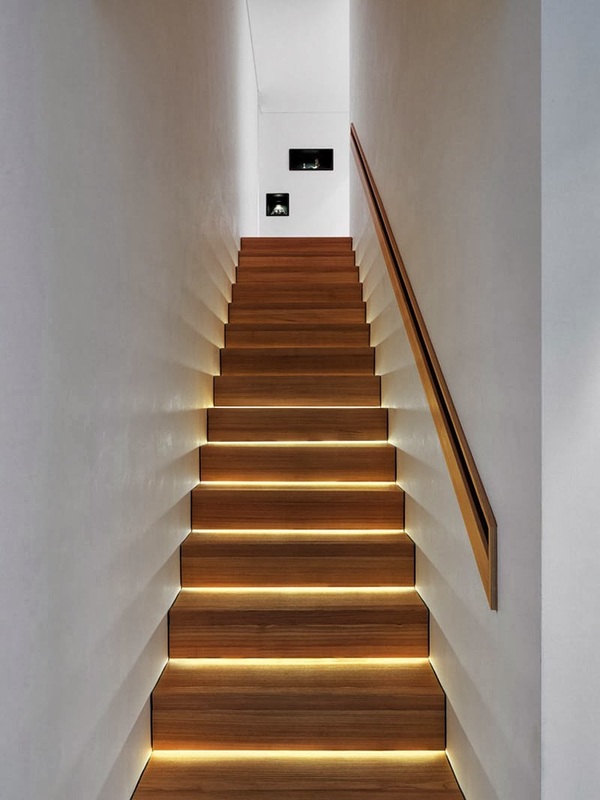 Conventionally, creating defined areas in a home meant building walls and hallways. Today, the open concept trend can lack the intimacy that people prefer. The good news is that with an open floor plan you have the refreshing feeling of a large space. That freedom allows you to transform an open floor plan into as much coziness as you can handle. You can create winter coziness by making architectural changes, but also in other ways such as using color, texture, textiles, rugs, lighting, furniture placement and accessories. Warm reds, yellows, oranges are the colors that instantly create warmth in a space… even outdoor spaces. Warm shades paired with earth-tone neutrals are a recipe for coziness. Generally, the darker the color, the smaller a large space will appear. You can create focus by just painting one wall a deep, warm shade. And don’t think you need to limit color just to the paint. Rich, warm, bold colors can be incorporated into your window treatments, upholstery, and rug choices as well. Layers of texture are a sure-fire way to add warmth and snuggle-ability to any large space. Natural materials like exposed brick, reclaimed wood, natural grasses and reeds like sisal or rattan provide immediate warmth and a comfortable feel. Accessories like personal comforters and throw pillows covered with satin, faux fur, velvet, silk or cashmere will be a welcome treat. A small woven basket full of these luxurious friends should do the trick. Layering textures can make any space seem cozy! Nothing divides or unifies a room quite as quickly as a rug. It’s a perfect, quick and very affordable way to instantly define separate areas in an open floor plan with a living area, dining area, or conversation area. When everything is placed, each newly separated area is immediately unified. Cold, snowy days outside make area rugs a pleasure to relax on while you contemplate the glow emanating from your beautifully redesigned fireplace (more about that in a moment). After you have designed your spaces, your lighting choices will add another layer of warmth. Interiors will magically look cozier with dim, subdued lighting. You and your friends will love it. It gives everything a soft, warm glow and is largely flattering to the room and your guests. Light from floor lamps or table lamps provides softer options than bright overhead light fixtures. You could also opt for canned lighting that has a dimmer switch. Soft lighting always makes large spaces appear warmer. Try different levels or heights of lighting to add interest. Adding layered lighting can make any open floor plan warmer. Open floor plans give furniture the power to define a space and create zones. It also offers the flexibility to change a room on a whim for every season, event, gathering or holiday. Create a variety of intimate seating areas that call for people to enjoy personal conversations. It will make the room that much more inviting. Try changing it up from angling all your chairs and couches in the direction of the nearest television and instead towards each other. The more areas you define, the cozier it will feel. You can make these zones more functional by creating nook, personal library or a working area that houses a beautiful antique desk and chair. While open floor plans offer fewer walls, a well-thought-out grouping of your favorite paintings can also define areas, create conversation and add warmth. If you have acquired more art than you have walls, rotate your favorites throughout the year. So often people think of bringing beautiful fresh, aromatic flowers into the home during the summer but winter is also a perfect time. They are an easy and affordable way to create intimacy and warmth and showcase the season’s surprising beauty. Have you thought of using wainscoting in your interior design to create texture, focus, charm, and warmth? Not only is it beautiful, but it is a wonderful way to add both interest and elegance. Paneled wood isn’t just beautiful, but functional. It can disguise uneven walls and even increase insulation! Revamping your fireplace with a natural stone veneer is another way to create an instant focal point without losing any of the natural ambiances. Lastly, integrate your interests. Personal touches are a very thoughtful way of making your large space intimate and cozy. Are you a reader? Nothing says cozy like stacks of well-read books. Are you a star watcher? Add a beautiful telescope for not only your own enjoyment but your guests as well. If you’re a painter, you can create a small area for your beloved work in progress by leaving them on the easel (a definite conversation piece!). Open concept homes give you the opportunity to have the best of both worlds. They may initially present some decorating obstacles, but implementing a few of these tips and tricks can turn that open space into a cozy, warm and very inviting home to enjoy all winter long. They say good things come in small packages – tiny homes are no exception! Perhaps one of the more obvious reasons tiny house living is the best is that everything costs less! But there’s more! Tiny homes range in size from as small as 9 sq. ft. (no kidding) to upwards of 800 sq. ft. and designs that range from ultra-modern to typically traditional. Designs can also incorporate off-the-grid features including setups for alternative power like solar or wind, harvesting rainwater, and composting toilets. Tiny houses require a new way of thinking: Utilitarian. Space is a premium and you’ll want to get the most functionality out of a tiny home that you can. Think ladder, not stairs. Think furniture that converts, like a dining table for eating and later converts to a desk for working or to a bed frame at night. Think about furniture that folds flat or up against a wall or retracts. Many amenities are stored vertically to maximize not only the floor space but the wall and ceiling space as well. Think about how much you have and how much you’re willing to part with as it really is a commitment when you choose to live tiny. And don’t forget to consider if you can live with cleaning that composting toilet! Before you expect to save on utilities, taxes, maintenance, and remodeling, know that some tiny homes can surprisingly cost more per square foot to fabricate or outfit than a typical large house. Custom designs are generally more complex therefore more expensive. Built-in furniture, multi-purpose furniture, and space that transforms to take advantage of every inch of space can require custom building and custom installation. You can save money by designing and building your own tiny home or opt for kits or consider buying used. Even though the tiny home may initially cost more “per square foot,” the good news is it will be far less than a typical large house. Let’s face it, the costs associated with heating and cooling smaller spaces is much less. While other factors like the size of the lot, the type of construction, the location, etc. can affect taxes and insurance, you can expect utilities to be a big source of savings in a smaller home. Even normal big-ticket items like the roof, windows, and reapplication of exterior paint will now be significantly less time-consuming. And if you are the primary person responsible for cleaning and maintaining the home then you know the time and energy it takes to keep it a home running at its peak. So beyond saving money, you save loads of another one of your valuable resources – time. Larger homes require you to buy more furniture and accessories in order to fill the space. With a small home there are already built-in limits and if you decide to remodel those costs are also lower too. Less space means fewer materials and less labor. Tiny homes are less expensive all-around so it’s not surprising the mortgage would be too. Unless the home is located on a unique lot or has some incredibly special features, you can expect a significantly smaller monthly payment. That goes to taxes and insurance too! Less money required to buy and maintain your new home means less stress. A smaller space means less clutter and less maintenance. All this means there’s more time freed up for you and yours and who doesn’t want that? For the environmentally-savvy, you already know that a tiny home leaves a smaller carbon footprint. In addition to using fewer utilities to maintain it, it demands even fewer resources to build it! A more affordable home is going to appeal to a larger audience. The bigger and more expensive the home, the smaller the buying pool. When it comes time to sell your tiny home, your price point will surely cast a wide net for potential buyers. And you might reconsider selling your home when to relocate if your tiny home is able tow-ready. Families are physically close to each other in a tiny home. Since everyone can’t scramble to different rooms at different ends of the house, families are literally forced to spend more time together. In this day and age, that might very well be the best reason of all to opt for a smaller home. A home that might be some people’s version of a walk-in closet is definitely not for the faint of heart! If you like the idea of simplifying your life and reaping the benefits of less space (and less stress! ), then you might just love making the transition to a tiny home. Over the years, we’ve built many custom homes and know what a stressful time it is for our clients. Below we’ve compiled a “Do” and “Do Not” list to make surviving your custom home build a little easier. However, we’ve also found that time and again, the best tip is assembling your Dream Team! Each professional on your Dream Team’s job is to bring their expertise to the table to make your dream of owning a custom-built home in beautiful Durango a gratifying reality. Each professional is filled with their own tips and tricks specific to every part of your new labor of love. 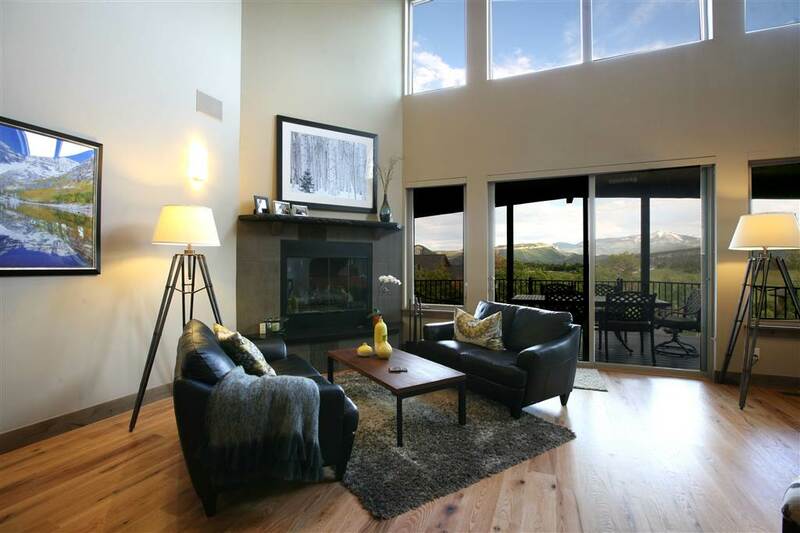 If you don’t already have a specific property in mind, your Realtor will prove invaluable in your search for just the right location in and among the many beautiful and diverse areas Durango has to offer. Consider bringing your builder along to give you an idea of the real cost of turning that remote land into a buildable lot. 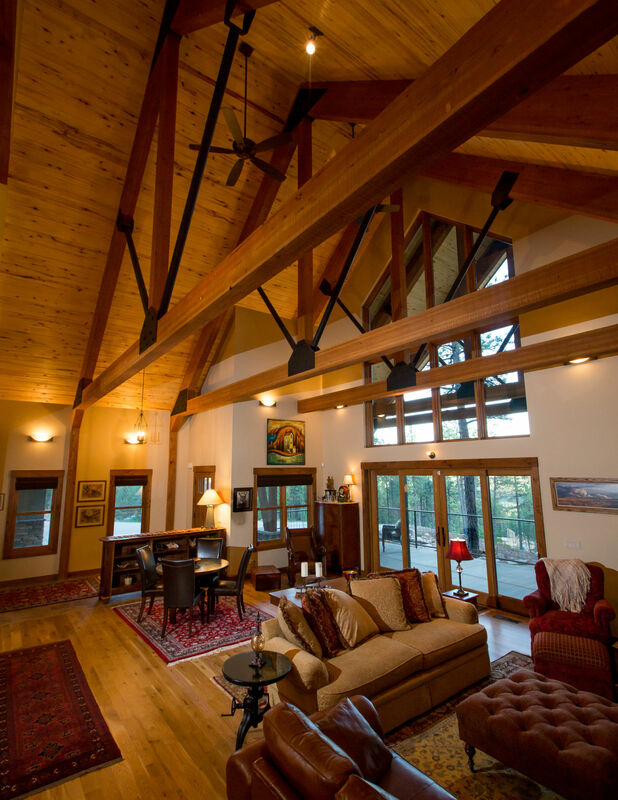 Your architect will show you where to place the house to best take advantage of Durango’s stellar views and the varying sunlight, shadows, natural landscape and more by working through the possibilities of the site. Sharing your budget for the house with your architect will make it easier to discuss whether specific features are worth considering for your price range. Most firms have extensive libraries of floorplans that may already be ideal for your taste, needs, budget, and location. Another option includes investing in a custom home plan uniquely created for you that can fully reflect your dream. Get everything in writing! This applies to subcontractors, as well. 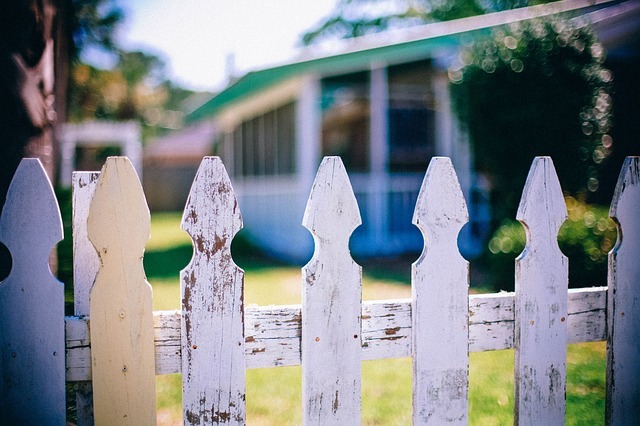 Building a home is a major investment and a small lawyer fee up front could save you thousands of dollars down the line. An extremely detailed contract will be your best friend: there to protect you, speak for you and intercede on your behalf. If you’ve talked about it, memorialize it in writing. A structural engineer is a licensed engineering professional who performs design services and structural evaluations. They have extensive training and can provide a wealth of knowledge when it comes to building and designing. Your Structural Engineer’s job is to ensure a sturdy and stable structure and optimal design to prevent disastrous troubles later on. Your banker is a critical piece of the process that can save you thousands of dollars in the beginning as well as thousands of dollars of interest over the lifetime of your mortgage. Your Accountant should not only know that Congress has passed many laws recently that are favorable for homebuyers and homebuilders but they will also know about those tax credits for the new energy-efficient windows, insulation, low-flow toilets, geothermal units and more. A well-established local builder should have plenty of nearby subcontractors, suppliers, and resources meaning no costly delays waiting for out-of-town crews and materials. Also, choose a builder that has enough buying strength to offer you the best prices for materials. Look for a builder that has a trustworthy warranty program. And always, always check references from local vendors and previous clients. Build for Your Future: When planning your home’s layout, think not only about your current lifestyle but also plan for a few years down the road. Will you have children in the home, elderly parents, or special needs? What may be right for you now, may not be right for you in five or even ten years. And while larger houses may appeal to you now, they are also more expensive and more time-consuming to upkeep, repair, clean and insure. Check References, Licensing and Reputations: Talk to previous clients in detail about how their build went. Visit the final results if you can. Was the job completed on time? On budget? Were the materials delivered and available for the subcontractors? Is the homeowner delighted with the design? Did the Architect meet their needs? What about the Banker? Or Accountant? Was the financing in place in time? Are they satisfied with the mortgage? Word-of-mouth references from reliable sources are a good way to measure your Dream Team’s reputations so make sure you ask around. Visit the site … Frequently: Survey the site for progress and assure yourself that you like the way you see things developing. Make the effort to stop by several times each week, preferably daily, to help make decisions. Go with the Very Latest and Greatest: The very latest technology and state of the art amenities are fantastic but may also be obsolete by the next ‘Black Friday’ sale. Save money and buy products that have been on the market for at least a year or two. And avoid obvious trends. Nothing dates a home like a trend… Have you not forgotten avocado shag carpet and orange countertops? Consider choosing design classics so that your home always looks current. Don’t skimp on the planning process. This is worth repeating: Don’t skimp on the planning process! Anything on paper is easily changed including floor plans, materials, resources, and design elements. Once you start building, deviations can become extravagant especially once the framing begins. Don’t build before you’re ready! Many people dream of designing and building their perfect home from the ground up and turning that dream into a reality to enjoy for decades. Choosing the right professionals can make designing and building your dream home one of life’s greatest joys. There is something so delightful about eating your food outside. Why stop there? Have you ever given much thought to bringing the whole kitchen experience outdoors? You may remember we talked about how you can create a dynamic outdoor space, but an outdoor kitchen may be just what you need to live a more relaxed life outdoors. If you live in a colder part of the country, you may have thought a grill was as close as you were ever going to get to an outdoor kitchen, but not so! While outdoor kitchens are certainly more common in some parts of the country like Arizona, New Mexico, and California, you can certainly have your own right here in Colorado! Yes, Durango has plenty of freezes and snow, but we also enjoy very desirable weather from April through October. We don’t know about you, but the 60-80-degree weather is just about perfect weather for preparing a meal outside. Much more suitable than 100+ degree weather! Simple or Complete Outdoor Kitchen? To start, you must first decide whether a simple or complete kitchen is right for you. Your needs, desires, available space, and budget are some things to be considered when making this decision. If there are space or budget limitations, a simple kitchen may be for you. A simple grill and counter top may be enough for you to prepare and enjoy a meal outside. If you want to maximize your time outdoors, consider a complete outdoor kitchen. This means a space for meal prep, cooking, and eating. This will allow you to interact with your guests outside while you prepare food! 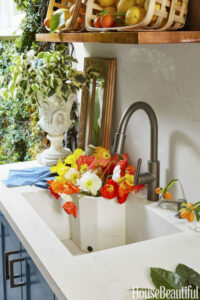 The bonus compartment in the sink can serve as a vase for flowers or can double as an ice bucket to keep adult beverages cold! Wood-fired ovens aren’t just for pizza. You can cook practically anything in one! The high heat allows food to cook more quickly and if you live in Durango, you know this is a requirement of high-altitude cooking anyway. The open flame is also a great addition to the atmosphere of your outdoor kitchen and serves as a great source of heat on those cooler nights. 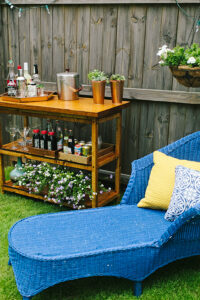 An outdoor bar complements an outdoor kitchen perfectly. The countertop and bar stools are a great way to add seating. Add in some open shelves and some cocktails and you are ready to play bartender! If you’re really ambitious, you can repurpose your bar into an ice bar once the snow starts flying! This is not essential for an outdoor kitchen, but makes a great addition to an outdoor Kitchen – especially one in Colorado! 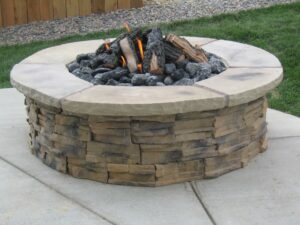 A fire pit allows you to spend more time outdoors in the Winter and provides a great centerpiece for your kitchen! Plus, who doesn’t love sitting around a campfire after dinner? Now that you have an idea of what you’d like your outdoor kitchen to look like, think about best locations to put it! With colder climates, you may choose an area that has more sun exposure in the Winter so it stays warmer and snow is less likely to pile up. Think about your roof and where snow falls off. Consider whether you must combat prevailing winds, overhead powerlines, and trees. Do you have enough privacy? Is the soil stable? Are there low-hanging trees that pose a higher risk for fire? Also, consider how smoke from your new grill may affect your neighbor. Other considerations: If your outdoor kitchen does not include a fridge or sink, you may want to place it near your indoor kitchen to provide easy access to the refrigerator and sink while cooking. Though coverings are not necessary for your outdoor kitchen, they may extend your kitchen’s use and allow you to cook outdoors year-round! If you don’t already have an extended roof line or a semi-enclosed space dedicated to your kitchen, here’s some inspiration for you. It is amazing the technology that is available to us these days. Picture a roof with the ability to keep out rain and snow, but also the ability to open like shutters on sunny days. Amazing, isn’t it? We know what you’re thinking – how can a pergola be a good choice for an area that gets snow? When built tough, pergolas can withstand a heavy snow load. Pergolas are not only beautiful, but they are great for providing shade in the Summer and allowing in light during Winter. If you plan on using your outdoor kitchen during snow season, a canvas or tarp can be a good seasonal solution to keep out rain or snow. A corrugated fiberglass top is also an option when you’re looking for a solution that still lets the light in. You may already have the perfect spot in mind for your outdoor kitchen, but materials for the kitchen itself are usually last on everyone’s list. Here are some suggestions to help you decide. Plumbing, probably the least exciting thing you can talk about when designing your outdoor kitchen, but it can be one of the most problematic! If you want your outdoor kitchen to survive more than a year in Durango, be sure to use stainless steel, plastic, or solid copper. If it does not fall into one of these categories, be sure it is approved for outdoor use. You may not have given much thought to countertops and their ability to hold up in weather, but it’s so important! Living in the mountains, we experience huge temperature fluctuations. We must prioritize function over fashion. That means ensuring the proper thickness and using a material that will withstand freezes and thaws. And temperature changes are not even the half of it! Given the sheer expense of countertops, consider using a material the holds up to UV rays, doesn’t absorb stains and odors (bears! ), and cleans up well. Some suggestions would be granite, stainless steel, glazed-ceramic tile and stain-resistant stone. Don’t let your cabinet material be an after-thought. Most are a large investment and if not chosen carefully and super susceptible to the elements. Best cabinets for an outdoor kitchen would be stainless steel, reclaimed lumber, bamboo, and even waterproof polymer. 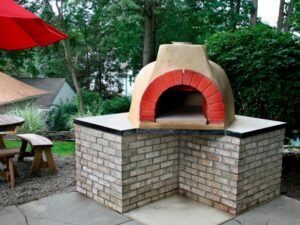 If not built properly, an outdoor kitchen can deteriorate quickly! Outdoor kitchens are an investment so don’t let it go up in smoke! Talk to us – we would be happy to build you one that will last! Get to know Nick Lister at Buena Vista Builders! Nick Lister is our new Assistant Project Manager and we couldn’t be more thrilled to introduce you to him! With a constant smile on his face and a positive attitude, Nick has been with Buena Vista Builders through thick and thin. He has been working for Bob since the summer of 2013. He started solely working for Buena Vista Builders in Spring of 2014. 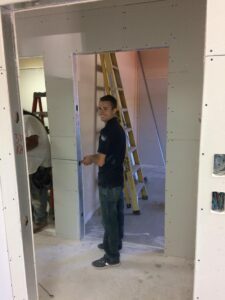 What Nick enjoys the most about his job is that the people really care about what they do and that the environment at Buena Vista Builders means he feels taken care of, too. The resident puppies at BVB (Pepper and Loki) adore him completely and make sure he gives them treats all the time. Are you looking to add something to your custom home? Maybe you’re wanting a certain touch that will take your favorite room in your home to the next level? A well-placed mirror may be exactly what you need. Mirrors can have a transformative effect on a room when utilized in ways that go far beyond giving you a last glance at your outfit before you walk out the door. Not all rooms can provide the wide open spaces that we love. That being said, there’s no need to feel cramped while working your way through laundry or buckling down in your office. A large, strategically placed mirror can create the illusion of additional space and added depth in a room that functions well as-is but has a tendency to leave you feeling stifled. Transform a room that leaves you feeling dim into a room that keeps you energized and buoyant by maximizing the light levels that a room provides. Position a mirror to reflect natural light or expand the reaches of an artificial light source, utilizing the limited light you have. Reflecting light into darker areas can really elevate the atmosphere of a room that may, at times, leave you feeling as if you’re in the depths of a dungeon. Pull nature into the interior of your home by setting a mirror to catch your favorite views. 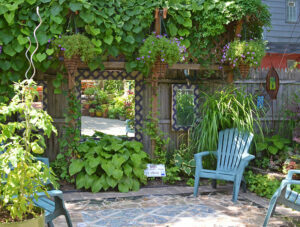 An extra glimpse of your garden during the day is sure to lighten your spirits. A thoughtfully placed mirror can give you that joyful jolt by bringing a pop of nature inside or showcasing those mountain views that are stunning enough to frame. A mirror, though useful, is not just a practical object. Choose a bold frame or uniquely shaped mirror to accent your style and create a strong focal point. Daring mirror designs can give a room a wholly fresh feel and identity and a truly unique mirror can even be an art piece unto itself, worthy of being the center of attention. Most people limit their vision of mirrors to exclusively indoor applications. In truth, there is a lot of versatility to be explored in outdoor mirrors. Really make a statement with a large mirror that acts as defining piece for your outdoor space, or create the illusion of a window in a tall garden fence without the fear of your neighbors peeking back. 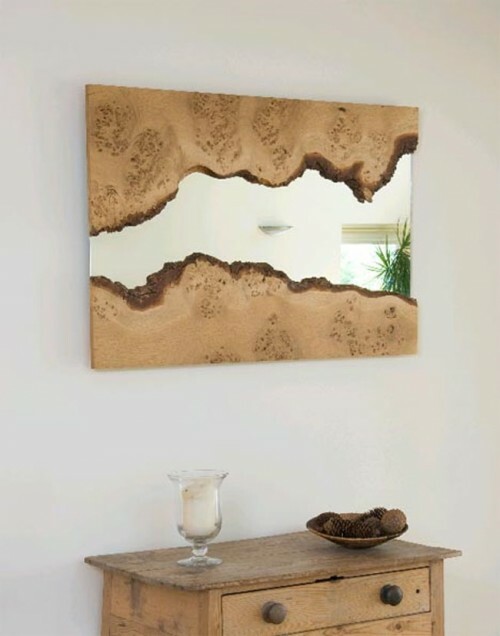 Though mirrors will always have their practical utility (thank goodness for that) there are so many creative ways to expand beyond their traditional use. Smaller rooms and darker areas appreciate the helping hand that they deserve and nature finds a second home indoors when a mirror is thoughtfully placed. And, whether your style is classic and clean, bold and eclectic, or anywhere in between, a mirror can complement any décor, even in your outdoor living space.